Jess and three other kids with paranormal-ness stay in the Siler house. Their presence wakes the house up and scary stuff happens. This was my status update on the book last night. Yes, I was really freaked out. Not kidding. At all. I was nail biting all night long. AND of course like an idiot I read this book at bedtime. It took me hours and LOTS of blasted tunes through the iPod to shut this story out of my head so I could sleep. I LOVED this story. I’m kind of strange and actually like getting scared. I know, I know that’s….well…..it’s kinda messed up. The whole thing had a very Rose Red/The Shining Stephen King vibe to it. Of course, we all know that I am not a Stephen King fan. BUT I love his movies/mini-series. For some reason I think King translates to the screen beautifully. This book would rock on the big/small screen too. It’s rich in detail, and just one hell of a ride. The characters are all great and bring something to the table. I LOVED Allison. Allison is able to see demons, She’s the most receptive to the house and the one person who absolutely does not want to be there. She has some of the best freaky scenes in the book. The MC Jess, well I liked her at the end of the book. But she pissed me off in the beginning. She felt misunderstood and was unwilling to open her mind to all the possibilities of the ghostly world. She was very much her way was the only way and anyone who believed differently was cray-cray. Toward the end of the book she grows up. She has to if she wants to stay alive. The ghost twins. OMG. They gave me serious chills. Ahh. I actually just want to dive back and and re-read this book. I want to live in it. (Well, only, if I get to escape). It was scary, well written, gripping and interesting. 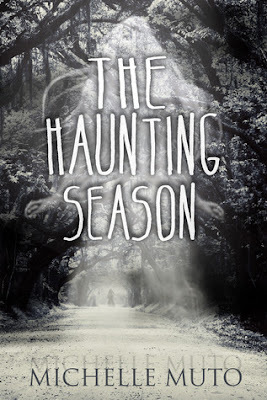 If you are a fan of ghosts, paranormal activities, and being scared then please please give this book a go. I loved it and you might too.